Make stubborn makeup stains, grass stains, and more disappear with Stain Devils #6! 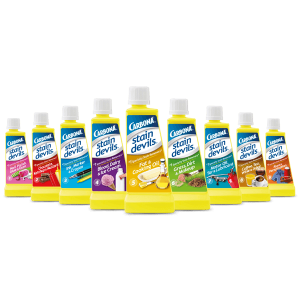 Stain Devils® #6 removes: Clay, Dirt, Food Coloring, Grass, Lipstick, Make-Up, Mascara, Mud, Pollen, Rouge, and Toothpaste. 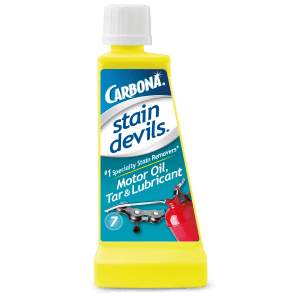 Can Carbona® Stain Devils® be used in the washing machine? Stain Devils are not a pre-wash. For best results, you need to treat each stain completely, before laundering and drying. 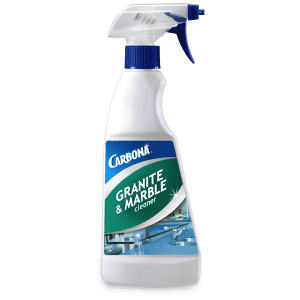 Can I use Carbona® Stain Devils® on carpeting? Carbona® Stain Devils® have not been tested for use on carpeting. However, we have had many consumers use them on their carpeting with great success. Doing so is at your own discretion. Will the formula for ink remove permanent ink? Permanent ink is permanent. Unfortunately, the stain is there forever. Why do I need to put a cloth under the stain? Stains can spread while being treated, so you need somewhere for the stain to go when you remove it from the material you are treating. What if I can't put a cloth behind the stain or put the stained area in a bowl? For best results we recommend that you follow the directions on the bottle. However, as a last resort, you may try dabbing the material with a white cloth soaked with the formula then pat dry. Repeating process as necessary until stain is gone. Why do I need to flush the stain with hot water after treating it with Carbona® Stain Devils®? You need to rinse out the formula because if you let the stained area dry out without rinsing, the stain can reappear. The hotter the water, the faster the stain removal process. 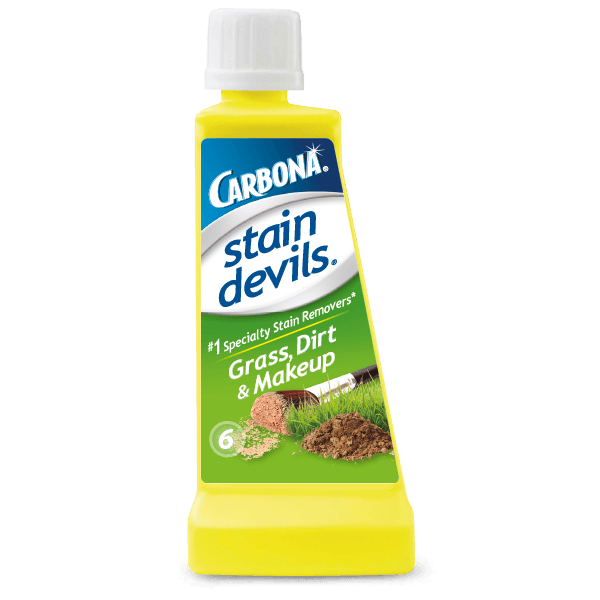 Will Carbona® Stain Devils® also remove the odor (like perspiration)? Carbona® Stain Devils® are formulated for removing stains. Follow with regular laundering to remove odors. Always test for colorfastness before using Stain Devils®. Need help? Go to the Conquer Your Stain. Not sure which Stain Devils® to use? Download our Stain Chart. No two stains are the same, so an all-purpose stain remover isn’t the answer to treating them. That’s why we created Carbona® Stain Devils® – 9 powerful formulas that treat specific stains. Stain Devils are safe and effective on washable and water-safe fabrics, excluding silk, acetate, carpeting, or upholstery. Every formula is dermatologically tested to be safe for your hands and environmentally friendly for disposal. 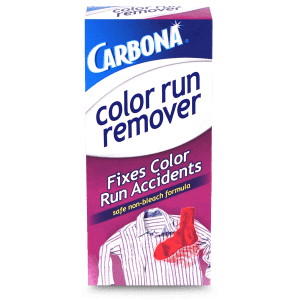 Look for the little yellow bottles of Carbona® Stain Devils® in the laundry section of your store. View all of the Stain Devils here. Use the formula that’s right for your stain. Follow the directions. Because Stain Devils are individually formulated, stain removal instructions may change from formula to formula. Follow the directions printed on the label of the bottle you are using. Some are instant, some aren’t. Be patient. While the appropriate Stain Devils formula should completely remove your stain, the time required may vary from immediately to several minutes or more. Combination stains. This can make stain removal a bit more complicated and may require more than one Stain Devils formula to remove it completely. But if you value your garment, it’s worth the extra time. Spot remover for washable and dry clean only fabrics. Before treating, remove as much of the cause of the stain as possible. Do not dilute. Place an absorbent white cloth beneath stain. Apply solution directly to stain. Tap stain with your finger, pushing it onto the cloth beneath it. In shallow bowl, immerse stained area in solution. Soak for 10-15 minutes. Gently rub fabric together and rinse with warm water. Repeat steps with fresh solution and longer soaking time, if necessary. Before use, test for colorfastness on an inconspicuous area. Will not remove instant or super glue. I just tried your product Stain Devils No. 6 on a lip-gloss stain and I could not believe how amazing it worked! I watched it come out! I’ve tried everything to get it out and your product worked! Thank you so much for having this product out there I couldn’t be happier with it. 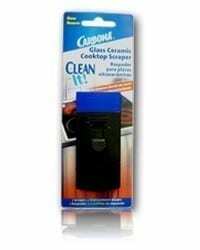 Your Carbona make-up remover is the ultimate BEST!! Recently, while putting on my foundation (now aka paint), somehow, the bottle flew out of my hand and landed in the bathroom sink splattering everywhere (???) I was wearing my brand new favorite LL Bean furry pullover. Big splotches of makeup were on both sleeves. I immediately sprayed the sleeves with an Oxy product, let it soak for about an hour, and barely a change. I then soaked the top in the washer overnight with detergent and more Oxy product and then put it through the wash cycle. Out came the top with NO CHANGE AT ALL!!! It literally drank up the makeup. I was horrified! I have used the make-up remover before with great success so I went to the store to pick up some more. I squirted all the ruined makeup areas on the pullover and immediately I could see the makeup dissolving. I dabbed some more, then ran it through the wash cycle. The top came out perfect — not a trace of makeup. This product is wonderful! Thank you Carbona !!!! love the stain removers. just wish some would come in larger containers. would be very helpful especially on grass stains.